Pondering how to teach your kid to read a book in the digital age where most children are hooked on to fancy gadgets and interesting kids apps? Well, you are not alone in this struggle. Most parents are finding it a challenge to inculcate the habit of reading among kids. As most children tend to become more drawn towards watching videos or playing online games, parents find it difficult to convince a child to read a book. Remember, technology can also assist and act as an aid to help children read. For example, interactive apps can also help children learn how to read and develop language skills. In this article, we give you some fool-proof strategies that will help you teach your child how to read. Why Should You Teach Kids To Read? One of the most crucial skills that any parent should teach a child is the ability to read. Time and again, research has proved that reading improves concentration, encourages imagination, enhances vocabulary and also helps exercise the brain. Apart from this, children also develop better emotional capabilities if they take to reading at an early age. Kids also develop many other qualities such as empathy because they tend to identify themselves with the character in the storybook. There are numerous benefits of reading and the earlier a child starts reading, the better it is. Make it fun: The best way to teach a child to read is to make it a fun activity. Include it as a part of their playtime routine. 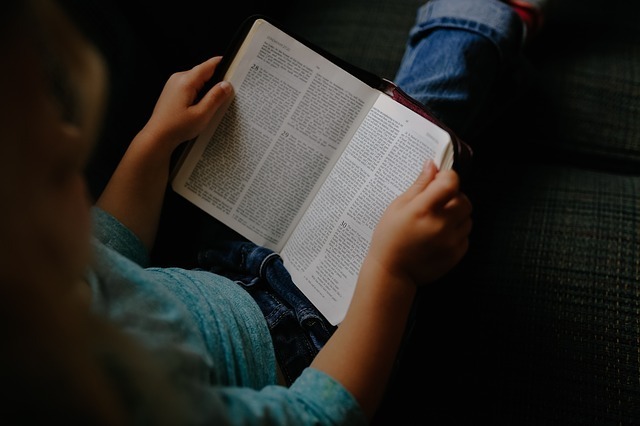 Make it a bedtime routine: If you make reading a daily habit, it is more likely that children will continue reading even at a later stage in their life. It is also an excellent way to develop a bond with your child. However, make sure that you also encourage reading in the daytime. Go for pictorial books: For a toddler, use attractive pictures and other interactive toys that help to learn. Also, make sure you are choosing a wide range of books. Use educative apps: If you must use digital devices, use educative apps that help foster and encourage learning. Take away distractions: Make sure you put away all electronic gadgets when you are teaching your child how to read. Any devices lying around could easily divert your child’s attention. Also, make sure you are sitting in a quiet place and there should be no television or radio playing in the background. Set a time slot every day: Every day, set aside a particular time slot only for reading. This way, you are encouraging the child to read every day without fail. Make it a family activity: Encourage all members of the family to read to your child and also read with your child one-on-one. Be it older siblings, grandparents, aunts or uncles, asking all members of the family to help a child develop reading skills is a good strategy. Buy simple books: Buy books that are ideal for this age group to make it easier for kids to pick up words faster. These can be as simple as books with the names of animals, alphabet books, etc. Create a conducive environment: Children need to be in an environment that encourages them to read. You can have a dedicated library room at home or even a reading nook at home. Set up a bookshelf and make it easy for your child to take out books from the shelf at any time of the day. Take your child to the library: Take your child along to the local library regularly. You could also sign up for fun reading workshops or other events at the library. Take your child book shopping: Instead of shopping online, try to take your child to the bookstore. Allow your child to choose a book to buy or just browse through the store. Use interactive methods: Apart from books, you can also use flow charts, posters, fridge magnets and other such tools to encourage reading. Many books come with reading sounds, animal sounds, etc. Try to use such creative methods to help your child develop the habit of reading. There are different approaches that you can use to teach your child how to read. Remember, you also need to set a good example for your offspring. If the child does not see adults reading around the house, the interest to read will slowly wear off. There is no magic formula but making a little bit of an effort can go a long way and will certainly help your child learn one of the most valuable lessons skills in life: reading. It is also essential to adopt a strategy that will work for your child because every child learns differently. Understand the preferences and abilities that your child may have or the kind of reading that he/she likes to do.